The vehicle is slated to launch sometime in the spring of 2016, the company said. Like many new and upcoming vehicles, the Mirage will support Google's Android Auto standard as well. 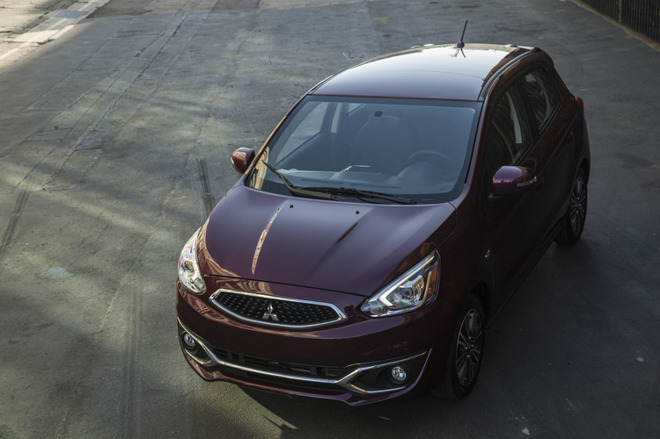 Mitsubishi didn't offer any other details on the car's dash system, though audio will optionally be playable from a 300-watt Rockford Fosgate audio system with ecoPunch, meaning high energy efficiency and low weight. The company already has CarPlay on the 2016 Pajero, but only in Australia and some European countries. CarPlay is only now beginning to roll out as a common feature, despite having first launched in March 2014. It took several months for the first compatible vehicles to arrive, and even then they were luxury models from Ferrari, Volvo, and Mercedes-Benz, out of reach for the average person. Car makers such as Honda and GM are finally rolling the technology into more popular models. Improved adoption should happen in 2016, with a greater number of both makers and models.